Copper wool pads (fine grade) produced from 99.9% pure copper can be used to smooth out almost any surface from wood to metal. These pads are flexible and conform to any shape, and leaves a very polished surface. They are ideal to polish the surface of grounds and painted surfaces after sanding. These copper wool pads are oil free and will not leave a residue. Copper wools are classed as non-ferrous wools that have long been used in applications, such as air filtration for clean rooms, heat transfer, pest control, fluid tank dampening, and plastic composite fiber matrix components. Additionally, these wools are used as a mild and non-rusting abrasive. In artwork, copper wool pads can be used to produce shading in metal or silverpoint drawings along with other metalpoint drawing tools. 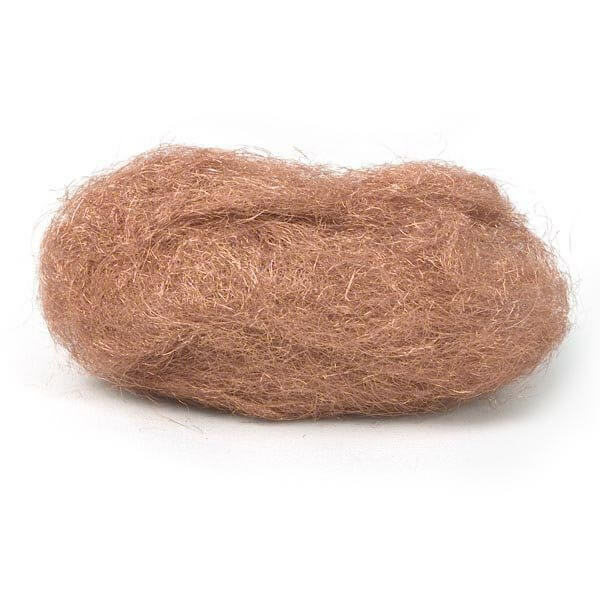 Copper wool products are typically available in coarse, medium and fine grades. This is a fine grade copper wool.